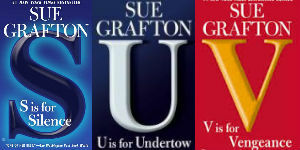 What initially attracted you to Sue Grafton’s writing style and her approach to the mystery novel form? Well, although Sue never writes the same novel twice and her books consistently surprise me, rereading “A” brought back that incredible rush I had on my first reading. Here was an original voice: tough, funny, smart, without an ounce of self-pity but also without any superhero ego. From the first I knew she was a serious stylist, that her characters were fully formed and she was using genre the way earlier mystery writers (the men who gave us noir) had: to make telling points about the (largely corrupt) world their characters moved in. Be it Raymond Chandler or Ross Macdonald, their protagonists were loners, honest but flawed (and usually, unlike Kinsey, very heavy drinkers), who took on cases the way a knight errant might take on causes. The world Kinsey navigates is not as corrupt as theirs, but it is often just as twisted and dangerous. In “A,” Kinsey tells us she is 32, twice divorced, no kids, no pets, no houseplants. In short, she is independent and alone. What we learn as the series progresses is that she is also nobody’s sidekick. Unlike so many female characters in the mysteries that preceded her appearance, she is not a loyal helpmate or willing employee or second banana. Now, how refreshing is that? And when she finds herself in serious danger, she is tough enough to fight her way out—even when it means killing or maiming her attacker. But it bothers her that she has to. So in addition to being tough and honest, she has a conscience. Mayhem for mayhem’s sake is not on her resume. 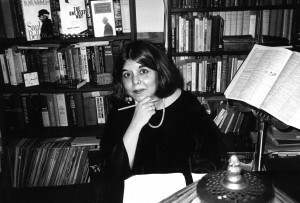 Her novels also do not depend on technology or gadgets for their denouements. Brains and determination are what matter. There are no James Bond gimmicks, and no saviors in white hats to come to Kinsey’s rescue. Through Kinsey, Sue is able to wrestle with some very current social ills. She doesn’t preach, but she does observe. And her intelligence in these matters raises the books to another level. You won’t find her giving facile answers to homelessness, but you will find her pointing out all sides of the problem. How you take this is your call as a reader. Sue is not here to convert you—but she wants readers to understand the human toll such problems take. And she is not here to solve our social problems. She can’t tell us how to stop the abuse of elders, for example. But she can, in horrible detail, show you how it happens. Perhaps this makes the books sound “heavy.” They are hardly that. One of the very great attractions of Sue Grafton’s writing is just how clever (both witty and funny) Kinsey is and how tellingly Sue leads her characters into crazy (but all too real) human interactions. And a large part of her success in doing this is that she has such a terrific grasp of the human condition, which is another reason her characters resonate long after you’ve finished the book. 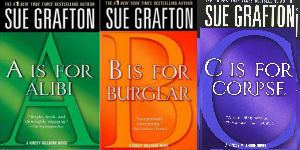 How would you describe the nature of your editor/author process when working with Sue Grafton and how has it evolved over the years? Our relationship is based on trust and mutual respect. Sounds corny, but it’s true. There may have been a few bumps early on because Sue bore some real scars from her years of working with Hollywood know-it-alls (“They all seemed to be barely out of high school,” she has said). Books, however, are not movies, and editing is a matter of supporting the writer not taking over her book. (Some of you may know of instances of editors taking credit for the quality of their writer’s book. Personally, if the writing was that bad to begin with, I’d want no part of it.) With Sue, as the years and books progressed, our working relationship, never problematic to begin with, became a sheer delight. Sue is a professional and a dedicated craftswoman. I like to think the same applies to her editor. There have been a few occasions during the writing when the plot line seems temporarily to stall out. Sue says dreaming often resolves a knotty plot line, and I say that what cannot be resolved in dreams is usually a relatively easy fix that a trusted reader can suggest. Mostly that first reader is her husband, Steve Humphrey. As someone who was long-married to a writer, I know the pitfalls that can happen when a spouse is called upon to read, but in the 34 years I’ve known them, their working relationship has been nothing short of miraculous. 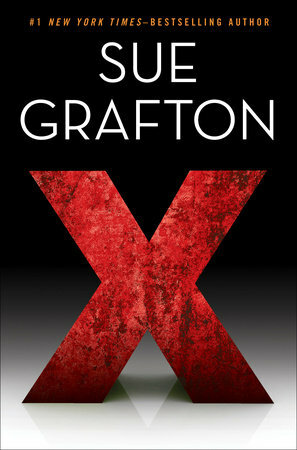 What has contributed to the popularity of the Kinsey Millhone character and the series, and what elements in the new novel, X, do you feel will resonate most strongly with readers? Sue never runs in place. I have read many writers who begin a series wonderfully and then, at about book 4 or 5, stall out. The books become padded, the plots are listless, the characters repeat themselves. Not so Sue. 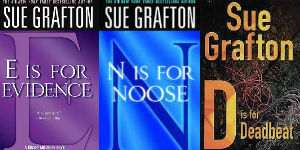 In fact, Sue brings a freshness and originality to each new book. Even those instances in which she needs to reintroduce a character from an earlier book or reprise some earlier plot line–so that a reader coming new to the series need not begin with “A”—are deftly handled and, for the veteran reader, often contain welcome new information. I think the reason the series continues to appeal so strongly is that Sue takes her writing very seriously. To turn in a listless effort would be to cheat her readers—and herself. The second part of your question is harder to answer because it would give away much of the plot of X. Let me just say this: There are three extraordinary plot lines in X. The reader will initially be hard pressed to know which is the prime plot, which secondary. But all are supremely interesting. One is outrageous—but many of us will be familiar with the neighbors from hell and, in its own way, it is very comic. Another is a complex scam that has grown out of the broken marriage of two hot-tempered people who should have taken the time to cool down. And the third? It is the harrowing story of a vicious sociopathic serial killer who has left a trail of dead women going back nearly thirty years. The victims have either been declared suicides or they have simply vanished. The killer is at large, and Kinsey is in his sight lines. Dark, chilling, and clever, X is also infinitely wise in the matter of human misbehavior—or why we are often our own worst enemy. Read more about X here. 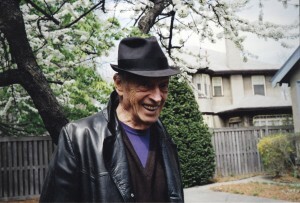 Today, June 10th 2015, would have been Saul Bellow’s 100th birthday. In celebration of his of his life, we reached out to Beena Kamlani, Bellow’s editor, to reflect on the writer’s life and influence. To read Bellow is to be struck. As by a meteor, a thunderbolt, or something from some indefinable source. You are suddenly in possession of knowledge that comes from elsewhere—as if gifted. Stunned and blessed—how often does this happen to us in our lives? I speak from experience. I read him when I was eight. 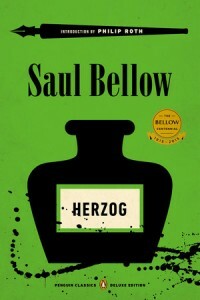 The book was Herzog. We preferred to read because TV in Bombay, India, was grainy and unpredictable. From the Hardy Boys to Enid Blyton, from Jane Austen to H. Rider Haggard—there was nothing that was considered unacceptable, and nothing that turned us off. But the world opened up for me when I came to Herzog. For it spoke about things no one had ever spoken about before. Its openness bowled me over. I was eight. It was a hard book to read as a child. The intellectual discourses in the letters Moses Herzog wrote were confusing and frustrating, for one didn’t know any of the references. But its truth was unassailable. Perhaps a child can grasp such things more easily than an adult for here was Moses remembering his childhood, the youngest in a family of four children, an immigrant family struggling to make it in immigrant Chicago, describing the helplessness of a child who sat in full knowledge of the struggles and challenges that faced them. These challenges colored his experience of childhood. Persistent failure rubbed shoulders with success; dashed dreams and thwarted ambitions made near impossible lives already brought low by sickness, the deaths of close family members, and sheer survival. Simple existence had to be constantly redefined, rearticulated, reimagined. In our family, too, there were deaths, divorces, and the effects of failure. Illness and sudden loss were common. Mourning bore witness but the questions multiplied. No one said a word in the mistaken belief that children ought to be protected from the truth. But there, in the kitchen of Moses Herzog’s home on Napoleon Street, in immigrant closeness and proximity, there are no secrets and the children come to know everything because it’s happening in front of them. It is the source of his intimate knowledge about a child’s world, filled with uncertainty, frustration, knowledge that is useless in the present but becomes part of our psychic calibration later, and the constant threat of abandonment. “We were like cave dwellers,” Moses says. We, too, become cave dwellers with him as we hear his pain about losing a beloved wife to a best friend, about the terrible longing for his daughter, and listen to him rage in loneliness against the world. There is the unforgettable scene in that kitchen when Father Herzog comes home robbed and beaten after a bootlegging expedition. “’Sarah!’ he said. ‘Children!’ He showed his cut face. He spread his arms so we could see his tatters, and the white of his body under them. Then he turned his pockets inside out—empty. As he did this, he began to cry, and the children standing about him all cried. It was more than I could bear that anyone should lay violent hands on him—a father, a sacred being, a king. Yes, he was a king to us. My heart was suffocated by this horror. I thought I would die of it. Whom did I ever love as I loved them?” Beckett, writing about Proust, said, “Yesterday is not a milestone that has been passed, but a daystone on the beaten track of the years, and irremediably part of us, within us, heavy and dangerous.” In Herzog, Bellow shows us how to record our pasts, how to transcribe them, how to live with them, even when they threaten to wreck us. Memory becomes the key to unlocking those crossover truths from writer to reader. You not only become a cave dweller in that kitchen but you also recognize the truth of what’s happening when the older Moses takes you into the kitchen of his home where these struggles took place. You trust the sensibility and the mind of the older Moses, remembering, seeing his family again, and as a reader you find equivalent emotional hotspots in your own life, hotspots that take you right into the heart of Saul’s work. In the world I grew up in, girls are handed knowledge in breadcrumbs. It is a privilege, a gift. Boys can expect it by the sackful, for it is necessary to live life, to bring forth families and to support them. What Bellow does is to hand us all this gift. When I was working with him, every night, weary with the challenges and exhilarations of the work, we would wind down for the day and hand the manuscript to his wife, Janis, for safekeeping. He had gone, as usual, close to the fire, and it had taken a lot out of him. We worked on hard copy, and it was the only extant copy of the manuscript. The vault she placed it in was none other than the freezer, for this is the last place to be attacked by fire. That act of reverence and preservation was necessary—for the present, yes, but also for posterity. For those words, cooling in their frozen vault, would become jewels for readers in the future, illuminating and warming them as we ourselves had been. Years later, I told him I’d read him when I was eight. “It was Herzog,” I said. He looked at me incredulously. “You don’t say!” he said. Then he put his fingers on the table where we were working and playfully drummed them against the wooden surface. “And here we are!” he said. Browse through all of Bellow’s work here.